Fastest Way To Get Rid Of Bed Bugs: How Long Does It Take? If you’ve discovered a bed bug infestation in your hospitality business (i.e. hotel, dormitory, B&B), home, or other facility, it’s imperative that you act fast. For one, you don’t want the infestation to spread to more than one room if you can help it. Additionally, having a nest of pests in one of your facility’s rooms, especially if you’re a hotel or other hospitality facility, means lost revenue when that room can’t be occupied. Third, it’s more than just a health and safety concern; you want to eliminate bed bugs quickly, discreetly, and for good, so as to minimize the potential hit to your business reputation. If you have a bed bug infestation in your home, the reasons are different but the urgency is still the same. You don’t want you or your kids being bitten by these pests and having to deal with the aftermath. Furthermore, if your home is infested with bed bugs, there’s a good chance one or more of the little critters will latch on to you, your clothes, or your backpack and end up spreading throughout the home and possibly wherever else you go – from the office to school to your vacation destination. So what is the fastest way to get rid of bed bugs, and how long does it take to exterminate these little pests? Well, the answer may vary depending on the method you choose, which is why it’s paramount that you do the proper research and fully understand the benefits of the clear top option: Electric bed bug heaters. When you choose heat extermination, you’re opting for the most effective and fastest way to get rid of bed bugs. Don’t believe us? That’s fine, we have science on our side! 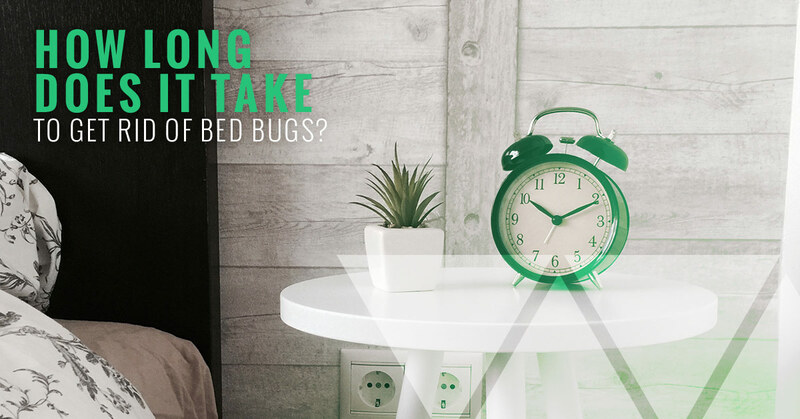 It’s been proven that bed bugs and their eggs will slow down, become lethargic, paralyzed, and eventually die within 90 minutes when the room is heated to a temperature of 118 degrees Fahrenheit. If you want to take it a step further, bed bugs will die instantly at 122 degrees Fahrenheit. When you maintain an ambient heat between those temperatures for a few hours, you can ensure that the job is getting done right, and there will be no more little critters crawling around in furniture, bedding, or elsewhere. That’s the other great thing about heat treatment: it heats up the entire room so you know you aren’t missing any spots. 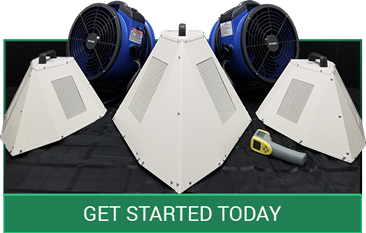 The electric bed bug heaters from Colorado Tri-Flo Systems utilize an innovative air-flow system that generates penetrating heat between 121 and 135 degrees, well above the recommended “kill temperature” for maximum effectiveness. With these electric heaters, which only require one power source on site (i.e. a simple electrical outlet), bed bug infestations are demolished in an average of 1.3 treatments. That means, whether you’re trying to get rid of bed bugs before your kids get home or you need to sell your hotel’s most popular room, you get a quick turnaround that doesn’t compromise efficiency. With heat, you can treat a room in the same day that you discover an infestation, and have it up and running the next morning. What’s more, you or your staff can be easily trained to handle this machinery yourselves, so that you can perform discreet and quick eradications. So that’s a rundown of the fastest way to get rid of bed bugs. But like we said, it’s not your only option. Here’s a quick glance at the alternative. Of course, you can always go the more traditional route and hire an exterminator to come into your home or business and use harmful, smelly, and noticeable chemicals to try and get rid of your bed bug infestation. Unfortunately, you need to be aware that on average these chemicals require an average of 2.6 visits in order to be effective, and your room or building will end up being unusable for between two and seven days, if these chemicals are effective at all. Why wouldn’t they be effective, you ask? Well, research has shown that over time, exposure to these pesticides has caused bed bugs to evolve and grow a tougher exterior, making them resistant to many chemicals used today. Then, of course, there’s an additional waiting period that you have to endure to allow the toxic chemicals to clear out so that the room is safe for use once again. So, you tell us: Which method is the fastest way to get rid of bed bugs? That’s right. It’s heat. Browse our commercial bed bug heating solutions here and get fast, efficient turnaround that you can count on!